Ivors Academy members and the creator community came together last night to celebrate the launch of the Academy’s bold new brand and identity. 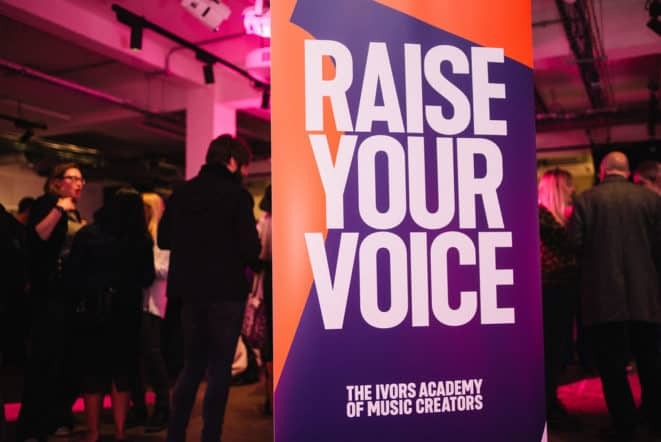 The sold-out social and networking evening, which was held at our offices in Borough, London, marked the start of our exciting journey which looks to enhance our visibility and amplify our voice in the music industry. Along with Academy Board and Committee members, songwriters and composers from across the worlds of pop, classical, jazz and media gathered to hear how the Academy is changing, as well as catch up with friends, meet members and make new connections. We were delighted to welcome many previous Ivors Academy award winners and nominees from The Ivors and the Gold Badge awards, as well as a host of leading music industry figures including representatives from UK Music, PRS, PPL, the MU, Apple and various music publishers. The event comes at a time of great progressive developments to new copyright legislation, after the European Parliament voted to pass the final version of the much debated Copyright Directive earlier in the week.